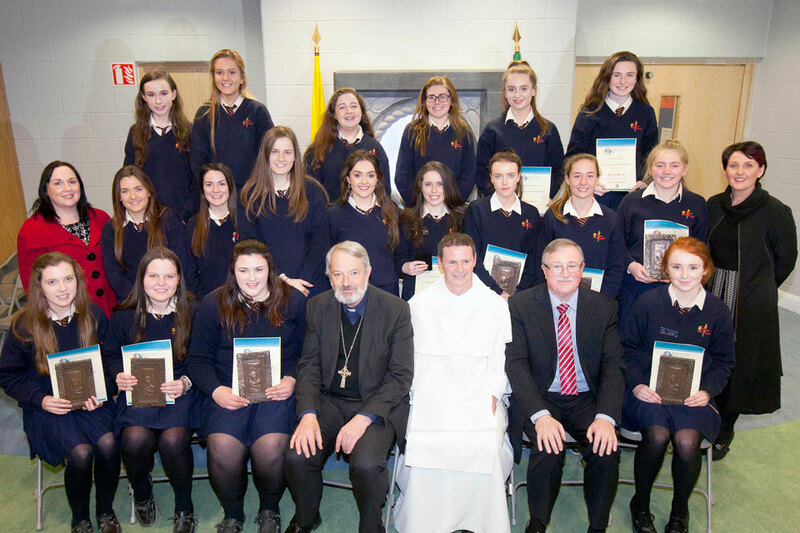 On Thursday 24 November, 2016 the diocese of Elphin held their Annual Pope John Paul II Award ceremony in the College of the Immaculate Conception, Sligo. 86 young people received the Papal Cross, Gold, Silver and Bronze Award. The ceremony was attended by Bishop Kevin Doran, Mr Barry MacMahon (Supreme Knight of the Knights of Saint Columbanus), local area Knights, school principals, Award leaders, teachers, priests, parents, family and friends. Brother Philip Mulryne O.P., former Manchester United and Northern Ireland footballer, was the guest speaker and his personal faith testimony and words of encouragement made an enormous impact on all in attendance. Brother Philip shared how while working with the homeless on the streets in Belfast he experienced a deeper joy and peace than he ever had before despite having achieved the dream of becoming a professional footballer at the highest level and having all the trappings and lifestyle that it brings. Brother Philip will be ordained to the Priesthood next year. Three of the Awardees shared personally and profoundly about their experience of partaking in the Award. They and all of the other young people who received their Award are a credit to their families, parishes and schools and are to be commended for their commitment and engagement over the past year. The evening was greatly enriched by the talents of musical groups and choirs from the Ursuline College Sligo, Mercy College, Sligo and the College of the Immaculate Conception, Sligo. Sincere thanks to the College of the Immaculate Conception, Mr. Paul Keogh, Principal, Ms Maura Murphy and the Board of Management for making their beautiful school available to us for this wonderful celebration. The John Paul II Award was launched in the Diocese in 2012 through the Diocesan Youth Ministry Office. This was made possible by the support of the Knights of Saint Columbanus. The Award is now established and running in 21 dioceses in Ireland and 2 in the UK. 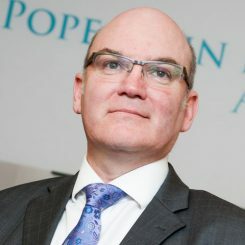 For more information on the Pope John Paul II Award and how to get involved, please visit the Elphin Award website or contact Frank McGuinness, Director of Youth Ministry on 087 9880690.